Thank you so much for your continued support and I hope you continue to check us out! 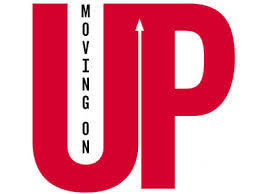 Shavuot – The End of the Counting… And the Beginning? Those of you who are familiar with Jewish holidays, or read my blog regularly, know that since Passover we have been counting the days of the Omer. The Omer is the seven week (or 49 days for those of you who are counting, see… counting! it was in the title!) period between Passover and Shavout. At Passover we celebrated our Exodus from Egypt and the liberation and freedom that came with it. At Shavout, we celebrate and remember our time at Mt. Sinai, when G-d gave down his Ten Commandments, and the rest of his Torah (there are A LOT more than 10 rules people! See, counting again!). This was obviously a great celebration for the Jewish people, who so recently had been slaves, were now being exalted as G-d’s chosen people, worthy to receive his Torah and practice Judaism. Many a Sage has compared Shavout, and our receiving of the Torah, to a wedding ceremony. Instead of Bride and Groom, you have G-d and His people, vowing to each other to keep and respect each other. We the Jewish people, swore on the lives of our children and future generations to uphold G-d’s laws and customs, and in return G-d bestowed upon us the majesty that is the Torah, and all that it encompasses. Pretty heavy for newly freed slaves. In fact, if you’ve seen “The Ten Commandments”, you know the old standby with Charlton Heston, then you will know that we didn’t handle it so well when Moses went up to Mt. Sinai to commune with G-d. That is why in fact, that this is special holiday to include children in. It is upon their merit that we received the Torah in the end, for the current generation was not ready. So we know that it’s a special day, obviously, but what about the food? Well, on this holiday, the tradition is to eat dairy meals, not the meat meals that you normally expect for a big, important holiday. Why is this? (C’mon, you knew there would be a reason!). 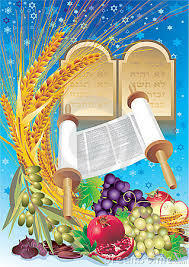 This is because before we were blessed with receiving the Torah, we did not have the complete rules of kosher. Once receiving the Torah, we now knew we could only have certain animals, slaughtered in a certain way, etc. All of our meat pots had to be made kosher! So to resolve this temporary food setback, we ate milk! So in honour of this, one of the most special and holy occurrences in Judaism, I present to you a week of dairy dishes sure to hit the spot with your guests! Enjoy and Chag Samayach! Okay, so back in Queen Victoria’s day, she had multiple main courses, there was the entree course, the removes course and the roast course… for me, that’s about 2 courses too much, but what do I know, I’m not the queen. So in her honour I’ve found a modern take on one of the dishes from her roast course. She served (or more accurately was served) Rots les Poulets (see picture below), or Roasted Chicken. 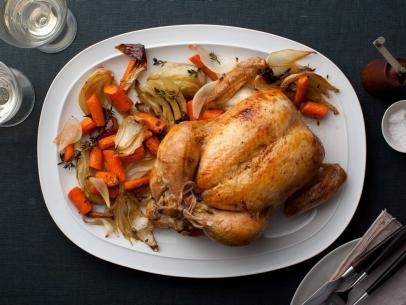 My modern take uses garlic, lemon and thyme and roasts the chicken with onion, carrots and fennel. It will serve 6-8 people, and I hope you enjoy! * Click here to learn how to clean fennel and thyme. Preheat the oven to 425 degrees. Remove the chicken giblets, or any other extra chicken parts that were stuffed inside the carcass. Rinse the chicken inside and out, and remove any excess fat and leftover pin feathers and pat the outside dry. Liberally salt and pepper the inside of the chicken. Stuff the cavity with the bunch of thyme, both halves of lemon, and all the garlic. Brush the outside of the chicken with the margarine and sprinkle again with salt and pepper. Tie the legs together with kitchen string and tuck the wing tips under the body of the chicken. Place the onions, carrots, and fennel in a roasting pan. Toss with salt, pepper, 20 sprigs of thyme, and olive oil. Spread around the bottom of the roasting pan and place the chicken on top. Roast the chicken for 1 ½ hours, or until the juices run clear when you cut between a leg and thigh. Remove the chicken and vegetables to a platter and cover with aluminum foil for about 20 minutes. Slice the chicken onto a platter and serve it with the vegetables. 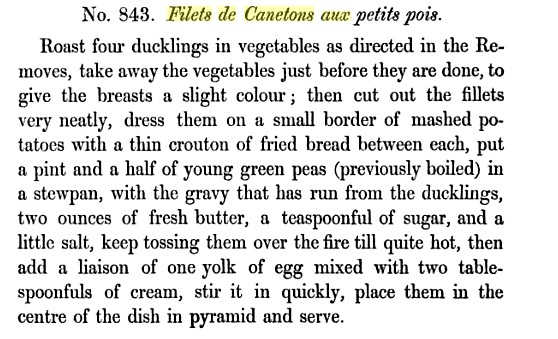 So out of the three entrees served at Queen Victoria’s May 15, 1879, one of them was for Filet de Canetons aux Petits Pois or for those non-Frenchies, Fillets of Roasted Ducklings with Small Peas. 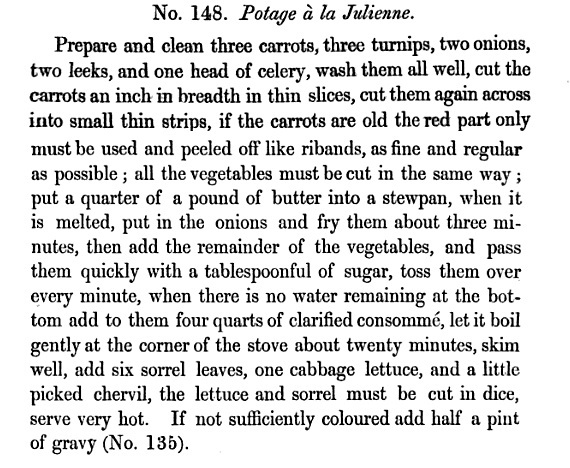 Of course, I was able to find a Victorian Era recipe for the dish, but the recipe doesn’t fit with today’s tastes, it’s actually strangely both simple and rich at the same time. 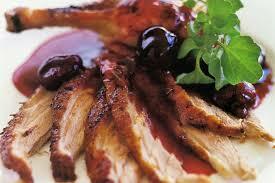 To fit with more modern tastes, today’s recipe is for a Maple and Soy Roasted Duck with a wine, thyme and grape sauce. Delicious! 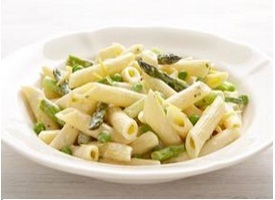 This dish will serve 6-8 people or can be halved easily for 4 people. * Click here to learn how to clean thyme properly. Pre-heat oven to 450 degrees. Remove the ducks from their packaging, empty the cavities and rinse under cold water. Make sure to pat dry the ducks inside and out. Cut off excess fat from the ends. Using a fork, prick the skin of the duck on top and underneath (on the fatty parts), without piercing the meat. Season the duck with salt on the outside and inside the cavity. Stuff the each duck with 2 sprigs of fresh thyme, the 4 cloves of garlic and 1 clementine or mandarin orange worth of quarters, and then truss. Place the duck, breast side down, on a grill in an approximately 13 x 9 in broiling pan. If you don’t have a grill for your roasting pan, you can place a wire cooling rack used for baking in a deep casserole dish instead. Just make sure to indicate that the cooling rack is now considered a meat utensil. Place in the oven and roast for 30 minutes. Reduce the temperature to 350 degrees, turn the ducks over to breast side up, and roast for another 30 minutes. In the meantime, put the wine, grapes, 2 sprigs of thyme and jelly in a small saucepan, and bring to a boil. Reduce to half over medium heat. Season with salt and pepper. Add 2 tablespoons of maple syrup, or more to taste. Mix. Set aside. Take the ducks out of the oven, and baste with the fat and cooking juices. Put the ducks back in the oven and continue cooking until the skin turns golden brown, approximately 60 minutes. Take the ducks out of the broiling pan. Mix the soy sauce and remaining maple syrup together and then brush the mixture over the ducks. Return to the oven and cook for another 10 minutes. Empty the accumulated fat. Tilt the ducks to empty the cooking juices that have accumulated in the cavity. Skim off the juice and add to the sauce. Transfer the ducks to a serving plate. Remove string and leave to rest for 15 minutes. Slice and serve with the sauce on the side. 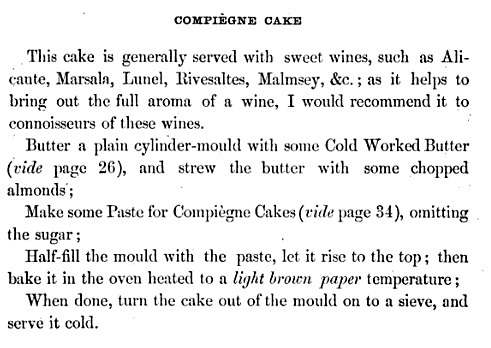 Okay, so Queen Victoria’s chef may not have made his whiting fillets like I have in the recipe below, but to be honest, it was probably pretty close. I found another recipe from the era and it gives a simple recipe for dusting the fillets and serving them with a Hollandaise sauce. I figure a beurre blanc sauce with garlic kale is a nice modern twist. This recipe will serve 6-8 people. I hope you enjoy it! * Click here to learn about cleaning kale. For the beurre blanc, bring wine and vinegar to the boil in a saucepan. Add the shallots, and season with salt and white pepper and season. Reduce heat to low and cook for 6-8 minutes until most of the liquid has evaporated (about 3 tablespoons liquid should remain). Stir in 1 tablespoon of lemon juice. Strain and return to a clean saucepan over medium heat for 30 seconds to warm. Reduce heat to low. Add butter, a piece at a time, whisking constantly so it melts before more is added. 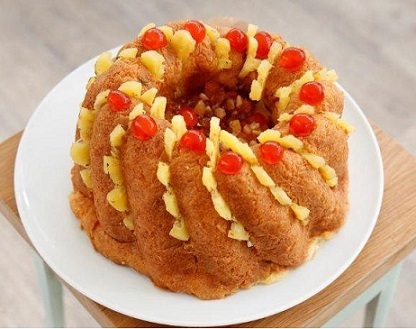 Remove from heat and whisk in remaining tablespoon of lemon juice. Season to taste, set aside and keep warm. Meanwhile, blanch kale in a pan of salted boiling water for 5 minutes or until just tender. Drain. Heat butter and extra virgin olive oil in a pan over medium-high heat. Add garlic and chili, then cook, stirring, for 1 minute or until fragrant. Add kale, season and toss to coat. Cook for a further 10 minutes until tender. To prepare the fillets, in a small bowl mix together the flour, salt and pepper. Heat the olive oil in a pan over medium-high heat. Coat the fillets with the seasoned flour, and shake each fillet to remove any extra coating. Cook the fish in the hot oil for 2-3 minutes each side until golden. 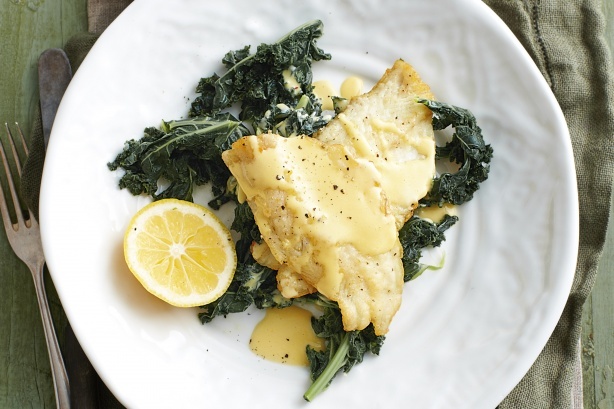 To serve, divide the kale and fish among plates, and spoon the beurre blanc over the fish and serve with lemon wedges. So next weekend here in Canada we celebrate Victoria Day, after Queen Victoria of England who ruled from 1837 to 1901. It also kicks off the official beginning of the summer season in Canada, much like Memorial Day does in the States. Originally, (as in back in 1845), we observed the holiday on the actual Queen’s birthday, which was May 24th, however, over time it has become tradition to celebrate it on the last Monday before May 25th. What does this mean for me? No work on Monday! What does this mean for you? A week of Victorian Era recipes! 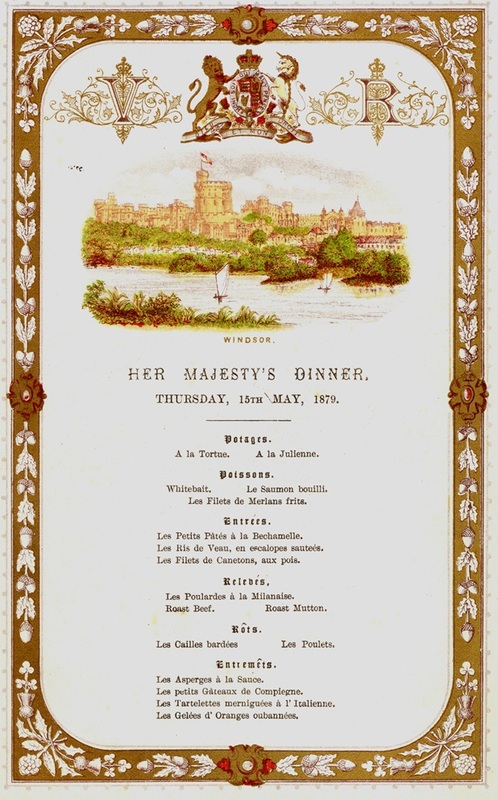 I actually came across a copy of a menu that was served to the Queen on May 15th, 1879. 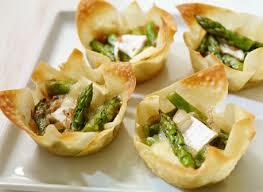 I am going to try a give a modern day version of some of the dishes served that night. Hopefully you’ll enjoy them as much as she did! Maybe because they were English they did it after the entrees? What can I say, when you’re Queen, you can have your meals served any way you want!